Chemical giant INEOS has unveiled plans to build a £350m steam and power plant at its Grangemouth site in Scotland. INEOS will also invest £150m in Hull to construct a new Vinyl Acetate Monomer (VAM) plant. Graham Beesley CEO of INEOS Oxide said: “This is an exciting time for INEOS and great news for manufacturing in the region. A few generations ago, the toolbox was a staple in the home. Your Mum, Dad, Gran and Grandad all know how to fix the odd problem around the house, but do you? More recently, there has been a crisis in DIY. Millennials, on the whole, don’t have the time, don’t know how or plain just don’t want to do it, with things as simple as bleeding a radiator or changing a lightbulb being out of the question for many. Is it time we turned things around? Here’s why and how you should go about bringing the toolbox back into your home. Outside of avoiding feeling a tad embarrassed when having to admit you don’t know how to rewire a plug, there are numerous reasons that it’s worth learning a few tricks of the trade. • Save serious money: The cost of external labour is significant. Often the simplest of tasks come with an initial ‘callout fee’ with an additional charge. Learning basic DIY tasks, especially when it comes to remodelling or moving into a new home, could easily be worth thousands in savings. • You’re the boss: You know what you want and how you want it done, so who better to do the work than you? You are the only one who can recreate the picture in your head, and it saves the trouble of paying for something you didn’t quite ask for. • Learn the craft: Whether it’s online tutorials or taking a few courses, learning DIY can give you valuable life skills that not only save you money, but give you a sense of achievement as well. • The best results? : Following on from being your own boss, there’s no reason to say you won’t do a better job on your home than a local tradesmen. After all, you can devote more time to a job, plus you have a vested interest in the final product being as good as it can be. What Should I Have in There? • Electric drill: The handiest of all power tools. Go cordless for sake of ease, but make sure you get a good battery to power it. • Hacksaw: For cutting wood, plastic and metal. • Screwdriver set: A set of multi-headed screwdrivers is an absolute essential. • Claw hammer: For banging in new nails and removing old crooked ones. • Pliers: A versatile tool that can clamp and cut. • Adjustable wrench: For tightening nuts and bolts. • Tape measure: An obvious must for any measuring needs. • Spirit level: Avoid wonky photos, shelving and wall fitted appliances. • Utility knife: Multi-purpose for all sorts of little jobs. • Flashlight: So you can see what you’re doing. • Safety gear: Safety goggles and work gloves should be a basic requirement. Now you’ve got some good reasons to do it and a basic list to get you started, you can join the DIY revival. Don’t be afraid to start small and grow to bigger and brighter things. Before you know it, you will be completing projects to be proud of, and you’ll have some extra cash in your pocket to enjoy as well. 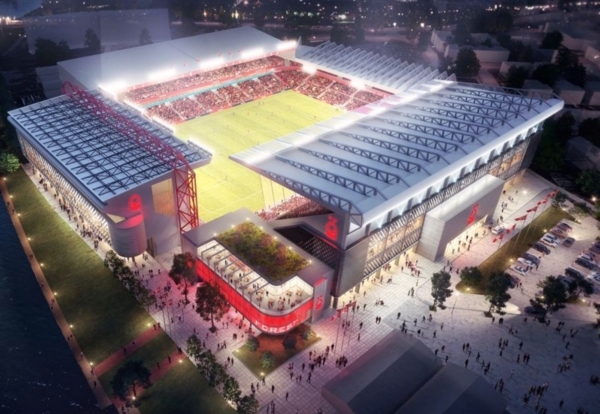 Nottingham Forest owner Evangelos Marinakis said: “The City Ground has iconic history and memories for our supporters and?these legacies were fundamental in our decision us to remain on the banks of the River Trent and not relocating to an alternative site. Fit out and refurbishment specialist Paragon Interiors Group Plc has recently gone into administration. The Midlands based contractor is in the hands of administrators from Leonard Curtis Business Rescue & Recovery. The joint administrators are now seeking offers for the business in order to preserve jobs and maximise the return to creditors. It is understood that the company employs in excess of 90 people. Paragon Interiors is not related to Interserve company Paragon which continues to trade well. According to recent figures, the UK economy’s been grinding its gears hard lately – and now it’s actually slipped into reverse. The Office for National Statistics is reporting that growth in Gross Domestic Product (the value of all the country’s goods and services produced) shrank 0.4% in a month. In fact the 2018 figures show that growth in the UK economy has now hit its lowest point since 2012. With an uncertain Brexit just weeks away and a skills shortfall crisis to contend with, these are uncomfortable numbers for the British construction industry. Total construction output went town by 0.3% in the last 3 months of 2018, after having risen by 2.1% for the quarter before. The drop was mostly down to maintenance and repair output, which fell 2.8%. The maintenance and repair drop came down to decreases of 4% in figures for private housing output and 2.9% in non-housing. The blow was cushioned a bit by a 1.1% rise in overall new work. You can thank rises of 1.9% in infrastructure and 1.4% in private commercial work for that. The latest monthly figures dropped badly, with December’s all-work series falling 2.8% compared to November. That’s the biggest one-month drop since June 2012’s 4.3% plummet. Looking back to 2017’s numbers, we’re seeing growth of 0.7% in construction over the last year. Again, that’s the lowest year-on-year growth rate since 2012, when output dropped by 6.9%. Needless to say, these aren’t great numbers – and there are likely to be some knock-on effects for the industry to deal with. A general unease over awarding new projects would be pretty understandable, for one thing. A nervous atmosphere in the industry is exactly the kind of breeding ground that leads to stalled or abandoned projects – particularly when there’s the fear of rising costs to factor in. Work opportunities tend to dwindle down, and the looming threat of layoffs feeds into a broader perception of construction as a field weak on opportunity and prospects. With an ageing workforce and a skills shortfall, people are just leaving the industry and not coming back. Construction thrives on innovation, and is learning fast how to pull in talent from other fields. The other side to that, obviously, is that people with transferable skills will simply transfer themselves back out when the going gets too uneven. Putting it all in perspective, if you’re working in the building trade it’s a challenging time. At RIFT, we see more and more of our construction customers struggling over finding new jobs and making the most of existing ones. It’s more important than ever to make sure you’re paying the right amount of tax – and claiming back what you’re owed from HMRC. That takes expertise that few people have – and it’s the reason RIFT are the UK’s leading tax specialists. From welders to window fitters, when it comes to handling tax refunds in construction, you’re better off with RIFT. The training company says redressing the gender imbalance is not just desirable from an ideological viewpoint but also a means of helping to tackle the chronic skills shortage afflicting the industry. Two thirds of employers say a shortage of engineers is a threat to their business. DTL, whose customers include household names in the utilities and energy sectors, highlighted the issue to coincide with International Women’s Day on Friday March 8. He said the challenges included improving the way construction and engineering were portrayed in schools, encouraging girls and young women to study engineering-related subjects and changing perceptions of working in the industry. One female role model is DTL’s own Nicola Smith, who swapped life as a stockbroker to become an engineer. quickly progressed in the financial services sector, eventually becoming a stockbroker based in London’s Canary Wharf, but she had a nagging feeling that she wanted to do something else. At age 19, she applied for a mechanics course, but the man she spoke to about it put her off. Years later, when an apprenticeship at British Gas came up, she grabbed the opportunity. Nicola said she was completely accepted by her team-mates, but she had to challenge public perceptions that engineers were men. “Customers would say to me ‘but when will the engineer be here?’ and I’d have to explain that I was the engineer,” she says. The last few years have been difficult for many industries, but for the construction industry, it’s been particularly trying. Since the 2016 referendum, ongoing uncertainty within the sector has meant construction businesses have had to deal with the world’s hesitation to tie themselves into a British project of any kind. Brexit isn’t the only challenge facing the construction industry. The effects of an aging workforce, the growing demand for more eco-friendly alternatives to traditional construction methods, and the introduction of many new technologies has meant that the sector must adapt rapidly. Last year saw the worst recorded level of skill shortages within the construction industry, and it’s only set to continue. From bricklayers, carpenters and plumbers, to electricians and plasterers; the scarcity of employees is reportedly across the board. An aging workforce means more retirement, which means the gap needs to be filled with new workers. But with less than one in 10 young people considering a job in construction, the sector needs to do more to entice the next generation of employee. After all, the sector isn’t looking particularly appealing to foreign workers anymore, thanks to Brexit. In fact, a third of EU construction workers are said to be considering leaving the UK, further widening the skills shortage for the sector. On top of this, while skill shortage is a large enough issue, it is also having another detrimental effect on the industry — cost. Due to the lack of skilled tradespeople, wages are rising for jobs within the sector, which, along with a rise in material cost, is impacting on profitability for building companies. The problem of uncertainty is rife when it comes to Brexit. While there is speculation regarding how the construction sector will fare after 29 March 2019 — the official leaving date — negotiations are ongoing, and we don’t yet know how taxes, imports and labour between the UK and EU will pan out. But it’s not just labourers from the European Union that the sector stands to lose out on. According to government data, around 60% of imported building materials come from the EU. Combine this with a potential negative change in VAT and tax, and a loss of access to the European Investment Bank and European Investment Fund — major investors in construction SMEs — and we could see higher product prices and less capital for the construction sector. There’s also pressure on the construction sector to adapt to greener methods too. According to the World Economic Forum, the construction industry can account for up to 40% of the world’s carbon emissions. With a global drive to crackdown on carbon emissions, any sector that doesn’t assist with this initiative could run the risk of incurring sanctions and fines — another potential hit that could affect the construction industry’s profitability. The construction industry also needs to keep up with all the latest technological advances in order to stay relevant on a global scale. From robotics to BIM — building information modelling — there’s a wave of new technologies and gadgets available to help make construction more efficient and profitable. However, this is only possible if building firms of all sizes are willing to get on board with a new way of working. First, the industry must address the matter of its workforce. The Chartered Institute of Building claims that the construction sector will need to secure 157,000 new recruits by 2021 if it wants to keep up with demand. One method of enhancing the construction workforce is perhaps to encourage more apprenticeships in the industry — and positively, apprenticeship starts are at a record high in the UK construction industry at the moment. With skilled workers from the EU no longer as readily available, the sector needs to work on homegrown talent. If the industry wants to prosper down the line, it will need to keep encouraging young workers to take on apprenticeship programmes as soon as possible, whether this is via positive workplace initiatives, bonuses or a closer relationship with schools. It’s impossible to predict the full impact of Brexit right now. However, it’s clear that material costs and the ease of employing the labour of EU nationals are the sector’s greatest concerns. To keep material costs down, building companies must keep a detailed inventory of what they have and what they need. Replacing can be more costly than simply repairing and vice versa, while not ‘shopping around’ for the best local prices can mean bargains are missed. Although we may not see a significant increase in charges and tax for EU imports, it may be worth sourcing UK- and none EU-based alternatives now to ease the pressure in 2019. Going green isn’t a choice, it’s a necessity. The government is determined to lower carbon emissions by at least 80% of 1990 levels by 2050. So, the construction industry needs to be active in reducing its contribution to emissions if it wants to avoid potential financial penalties. Highlighting the need to recycle in the sector will certainly help. Furthermore, many construction vehicles and equipment, such as work platforms, come with eco-friendlier hybrid motors or can be powered by batteries, while utilising solar energy panels, non-toxic paint, locally-grown timber, and low-energy lightbulbs during the construction process will all contribute to a greener industry. The construction industry also needs to stay ahead of the technology game. Construction software that eases communication between different teams on a single building project is growing in use and popularity across the sector, as are BIM and augmented reality technologies which help project managers spot potentially costly issues before the physical construction. Similarly, robotic machines are helping ease the pressure of a lack of low-level workers while making potentially hazardous jobs easier to complete, and advances in materials — such as self-healing and permeable concrete solutions — are solving longstanding problems, like cracked building foundations. There are many benefits to this. For example, it’s possible that construction companies can help protect themselves from using inefficient, labour-intensive and environmentally-unfriendly methods by learning about new technologies and bringing them into their workspaces. The construction sector is certainly in the midst of a difficult time. However, a bright future is not unattainable. By adopting eco-friendly processes, being responsive to new technology, having a plan in place for Brexit, and encouraging apprentices to come on board, the sector can thrive in 2019 and beyond. Promoting timber’s health and wellbeing benefits is the focus for Wood for Good’s next Marketing Summit on 12 March at CILIP in London. “The Summit is an opportunity to pinpoint how we can position, develop and market timber products within the health and wellbeing agenda. The Summit will be in a workshop format with speakers including Christos Michael from CapitalHolz 100, Colin Wheatley from Medite Smartply and Kevin Underwood from the British Woodworking Federation. Christos and Colin will be sharing their experiences of bringing health and wellbeing to the forefront of their marketing and product development, while Kevin will delve into the results of BWF’s cradle-to-cradle feasibility study for joinery products. The discussion will cover the key issues raised in the previous summit including certification and the practicalities of doing this, identifying sales channels and ideas on how to promote products as healthy. On the morning of the Summit, a workshop with Wood for Good supporters will take place to discuss the next six months of the campaign’s activity. Following both events, attendees are invited to the Building Centre for the launch of the annual Wood Awards plus an opportunity to view the Forest of Fabrication exhibition. Book your space for the Wood for Good Spring Marketing Summit. Past graduates of The Survey Association’s (TSA) Surveying Course can now obtain a Gold Card from The Construction Skills Certification Scheme (CSCS). Following an application by TSA, CSCS, the UK’s leading skills certification scheme within the construction industry, has agreed the waiver for the 381 Survey School graduates who started the Course before April 2018. Students who started the TSA Surveying Course after April 2018 will not be able to use it to get a CSCS card. They must instead complete the Level 3 Diploma in Engineering Surveying. To apply for the Gold Card, with endorsement as Engineering Surveyor, candidates will need to present their graduation certificate and a letter of authentication to CSCS. To obtain these documents email The Survey School at office@surveyschool.org.uk The cost for this is £80 + VAT. The Survey School can provide a duplicate certificate, if needed.